Welcome to motorhispania-motorcycles.co.uk, the official website for Motorhispania Motorcycles in the UK. 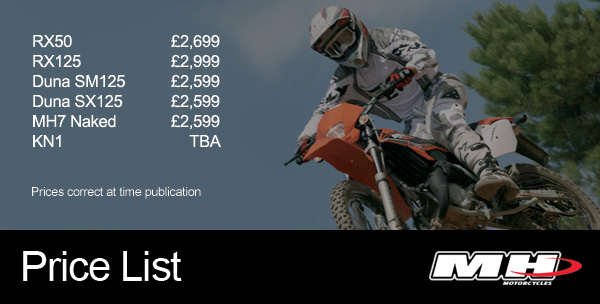 Whether you are looking for a learner legal sports bike like the incredible RX 50 / 125 ranges or a day to day commuter bike, you can rest assured there is a Motorhispania for you! Motorhispania Motorcycles are made in Spain, using only top quality European components; the engines for example are genuine Minarelli units.